This taco is way higher in fiber than the standard fare, largely from the refried beans, but it’s also a whole lot cleaner. 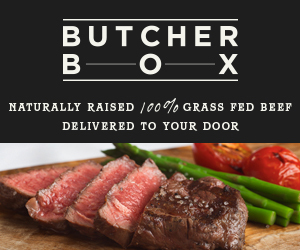 We use only grass-fed beef (which you won’t find in Mexican fast food! ), and we add tons of fresh veggies. This is how real, healthy Mexican food was meant to taste! This recipe is from The 150 Healthiest Slow Cooker Recipes on Earth by myself and Chef Jeannette Bessinger (the Clean Food Chef). By the way, if you’re wondering where to get grass-fed beef, they now carry it in Target, and it’s terrific! In a large skillet over medium-high heat, combine the beef and onion and cook until no pink remains, about 6 minutes. Add the garlic and cook, stirring frequently, for 1 minute. Drain any excess oils and transfer the contents to the slow cooker. Stir in the chilies, refried beans, salsa and cheese. Cover and cook on high for 3-4 hours, or on low for 5-6 hours, until mixture is cooked through and bubbling. Stir and serve over warm tortillas with tomatoes, lettuce, and a dollop of sour cream and garnish with cilantro.